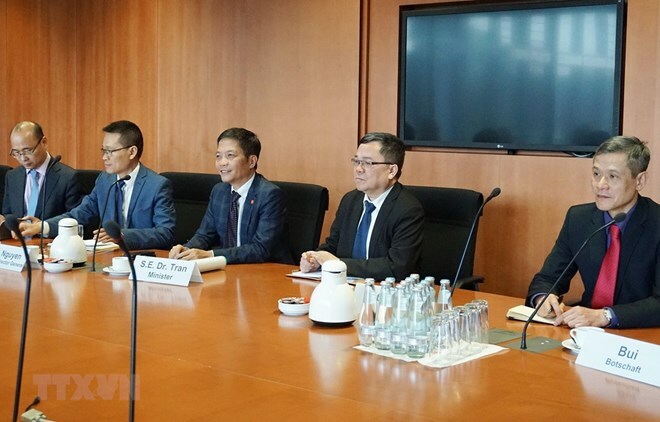 Berlin (VNA) – The Vietnamese Government is committed to assisting energy companies in developing the market and providing energy-saving and environmentally-friendly solutions in the region and in the world, according to Minister of Industry and Trade Tran Tuan Anh. The official made his statement while attending the annual Berlin Energy Transition Dialogue on April 9. Co-organised by the German Federal Foreign Office and Federal Ministry for Economic Affairs and Energy since 2015, this year’s event has attracted over 2,000 delegates from more than 90 countries, including 50 ministers and state secretaries and over 100 speakers. Agreeing with the German official, Anh said that the Vietnamese Government pays significant attention to the field, adding that the country has great potential for developing solar and wind power.